Does your town have what it takes to host the Grow Remote conference on September 27? Town and villages across Ireland are invited to apply to host the inaugural Grow Remote (www.growremote.ie) conference that will take place on September 27. The one day conference, which will feature speakers from across Europe aims to boost the momentum around the remote working community in Ireland. The first of it’s kind; the conference will play host to remote workers, remote working companies and town groups. Speakers will share the latest thinking on the technology, management and opportunities for remote working. Currently, it is estimated that over 216,000 people work remotely in Ireland. The emergence of new community spaces across Ireland was a key motivator for this event as they now provide the infrastructure needed in the regions to make remote work possible. Town teams are encouraged to apply at growremote.ie/nominate before August 25 and the winners will be announced late August. The event is supported by Bank of Ireland, Shopify, IDA Ireland and Abodoo with tickets starting at €30. More details at www.growremote.ie. 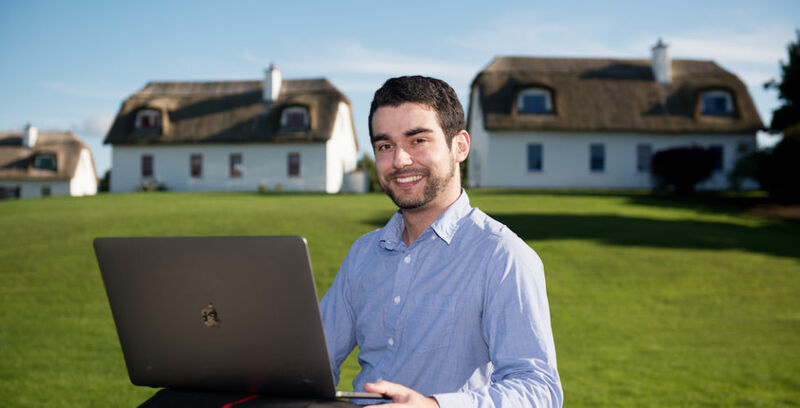 Pictured above is Dan Fahy (27) who availed of local spaces and high-speed broadband to work for two international companies from his base in Kinvara, Co Galway. Grow Remote is a community of companies, individuals and town groups who believe that smart working could and should be more accessible across Ireland. You can get involved by sharing case studies, telling them about companies that have great smart working policies, and hosting events around this theme.